Wyatt was my very 1st Shooter, but I think it's time to say goodbye to the old and hello to new. Just got Helen a week ago and picked up Mandy an hour ago. Wyatt does a nice job, but it's just been the two of us. Don't know what to do with Mandy. What's your two cents on it? radio call, as a shooter, and possibly better traits. traits, and I gave him the same name. It's a craps shoot on that fifth trait. If Helen's got defensive stance hidden, and you got rid of your Wyatt already, you'll be kicking yourself. If she's got iron skin there, you're set with a darn good shooter. I tend to wait until I've got the 730 necessary to go from 4 to 5 stars, and if it's a fail, you get half your tokens back (365) without having sacrificed your best shooter. Marksman, luck, dodge, and sure-shot are my top 4 traits for shooter, and then iron skin or vigilant is good for me for that fifth. 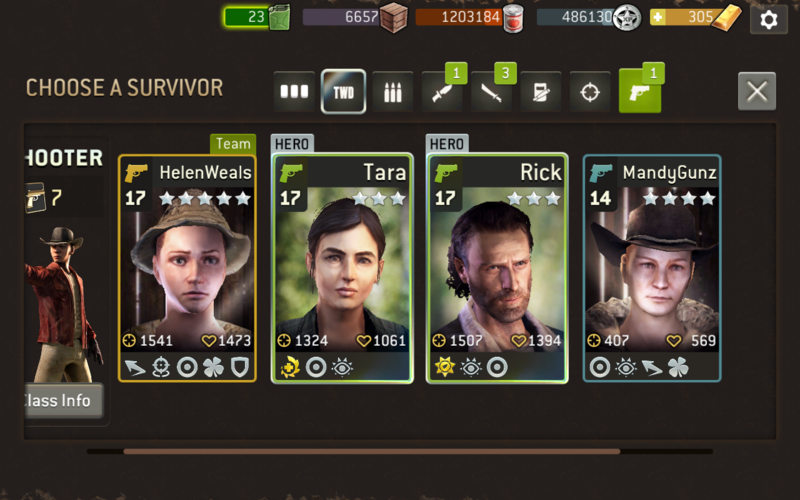 For me, I prefer promoting a 4 star with ideal traits than waiting around for that perfect legendary pull... it's a token eater, but I think it's the way to go to get your ideal survivor. @tabernac I'm more interested in what to do with Wyatt vs. Mandy. @sbf I will definitely wait until I see Helen's 5th trait, but wouldn't most say she's already better? In last challenge, Helen did more body shots and she has higher damage. This stuff is starting to make me crazy in the mind. I can't hold on to a radio call past 15 and I tell myself each time to wait until I get 100. It's worse than my craving for Circus Peanuts. I just want ONE survivor that I can be proud of using a Radio Call on! I would dump Wyatt cuz no marksman. I want dodge, luck, and marksman at a minimum. I like Ironskin next. @ZeroMercy If your serious, that's quite a coincidence with a hidden meaning. I dumped Wyatt before I knew Helen's 5th trait. I waited awhile anticipating defensive stance and how I was going to deal with it. I wanted to share this with you guys, not to gloat, but express the fact that I think you all sent me some luck! 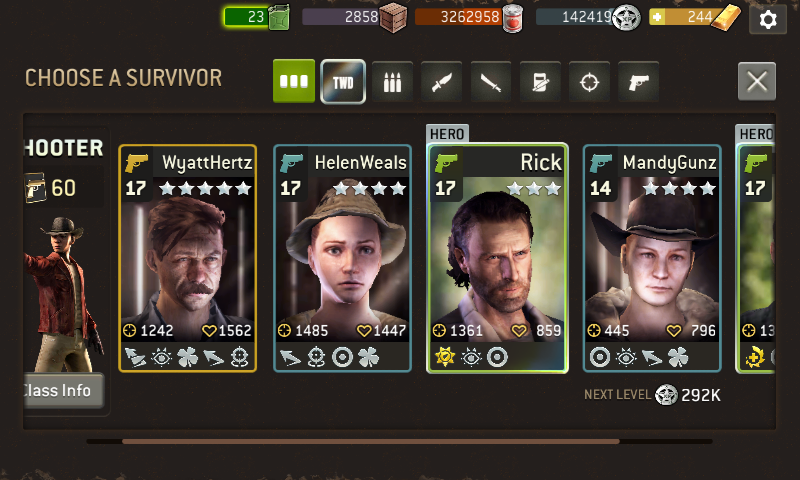 I've been playing awhile now and I finally gave up on the idea that I would ever get an all 5 trait, perfect for earning a pinkie survivor. Now I know it's possible. Thanks you guys! !